Ever since I came to the United Kingdom, I have been intrigued by its civic culture. Hardly one day passes by without an example of some lone fighter, addressing some deplorable states and starting a campaign to change this. Almost always, while campaigning, he gathers supporters for his case, gets attention and sooner or later he forces officials to take a stand either in supporting or not supporting him, a stance that will inevitably reflect on their public record, e.g., in the next (by-)election. I’ve seen a number of campaigns forcing politicians to change their policy and proving that lone and determined fighters can move even notoriously inert politicians. 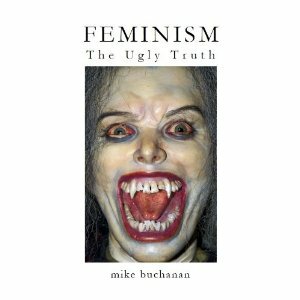 I am very proud that Mike Buchanan, author of 10 books, three of them written to expose femism as the harmful ideology it happens to be, who started off as a lone fighter and gathered a lot of support along his way, agreed to write an article for critical science. As far as my knowledge of Mike’s determination goes, I would expect him to shake the very foundations of the feminist and its supportive establishment and that he will not stop short of it. I like to thank you Mike for his contribution to this blog and his fight against feminism. Mike launched the “Campaign for Merit in Business”, runs Fighting Feminism and has his own publishing house. This article was written in response to a request by Michael Klein of Kritische Wissenschaft. We encountered one another when he posted a comment on a blog I wrote on ‘gender diversity in the boardroom’ for London-based right-of-centre think tank The Institute of Economic Affairs (‘IEA’): In that blog I presented the evidence to suggest that forcing companies to increase the proportion of women on their boards will harm their performance: two independent studies. One was carried out by researchers at the University of Michigan, the other by researchers who presented their findings in a discussion paper for Deutsche Bundesbank. A number of people posted comments in response to my blog, all of them supportive of the thesis, other than an anonymous woman who termed herself ‘female entrepreneur’, but who was clearly a feminist. Her posts became increasingly ridiculous over a number of days, and she refused invitations by Professor Philip Booth, Director of the IEA, to supply her alleged evidence countering my thesis (presumably because the evidence doesn’t exist). She resorted to shaming tactics against myself and other contributors, and sought to question the reputation of the IEA, at one point presenting herself as a ‘supporter’ of the IEA and threatening to withdraw her support. She succeeded only in making her arguments and herself look absurd. It was a perfect illustration of why experienced feminists have long refused to be drawn into public debates. Professor Philip Booth, Director of the IEA, was pleased by the interest raised by the blog, and invited me to speak on the topic of gender diversity in the boardroom to an invited audience (mainly economists and journalists) at the IEA headquarters in London on 29 August. I explored the different attitudes and choices of men and women in the world of work in my book The Glass Ceiling Delusion: the real reasons more women don’t reach senior positions. Among the book’s many conclusions is that the numerical ‘imbalance’ between men and women on corporate boards has nothing to do with the ‘glass ceiling’, the mythical discrimination against women exercised by men when making board appointments. Last year a fellow British writer, Swayne O’Pie, published an insightful book, Why Britain Hates Men: Exposing Feminism. On 28 May it will become available internationally for the first time (in paperback and ebook editions) with the revised title Exposing Feminism: The Thirty Years’ War Against Men. The paperback will be priced at €15.95, the ebook €8.45. I strongly recommend the book, a forensic analysis of modern feminism and the damage it has wrought. Attempts to develop a male ideological equivalent to feminism – some have used the term ‘masculism’, and I shall do so myself in this article – have been particularly unsuccessful. Numerous explanations have been offered to explain this. My own view is that attempts to develop ‘masculism’ ignore how the different natures of gender-typical men and women have long been translated into societal norms. I believe women have been taught to have a sense of entitlement to special treatment from men – particularly women in the developed world over the past century – and this sense of entitlement is the bedrock upon which feminism is built. There is no male equivalent to this phenomenon, men being taught at an early age that if they wish to attain success and material wealth, they will have to work or fight for it. I believe that without a necessary ‘bedrock’, attempts to develop ‘masculism’ are unlikely to succeed. Even among the majority of anti-feminists – including myself – there’s little interest in discussing and exploring such topics as ‘masculinity’. I would sooner gnaw off a hand without anaesthetic than discuss the topic of masculinity at length. I see the fight against feminism as essentially a practical and political fight. I refer the reader to Esther Vilar’s The Manipulated Man (1972) for an account of how women manipulate men for the benefit of themselves and their children, also Steve Moxon’s The Woman Racket (2008). 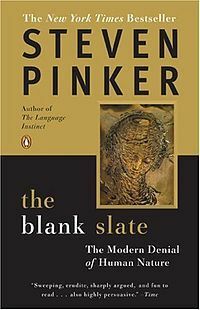 For readers interested in the different natures of gender-typical men and women I recommend books by four leading psychologists: Steven Pinker’s The Blank Slate (2003), Simon Baron-Cohen’s The Essential Difference (2004), Louann Brizendine’s The Female Brain (2008), and Susan Pinker’s The Sexual Paradox (2009). 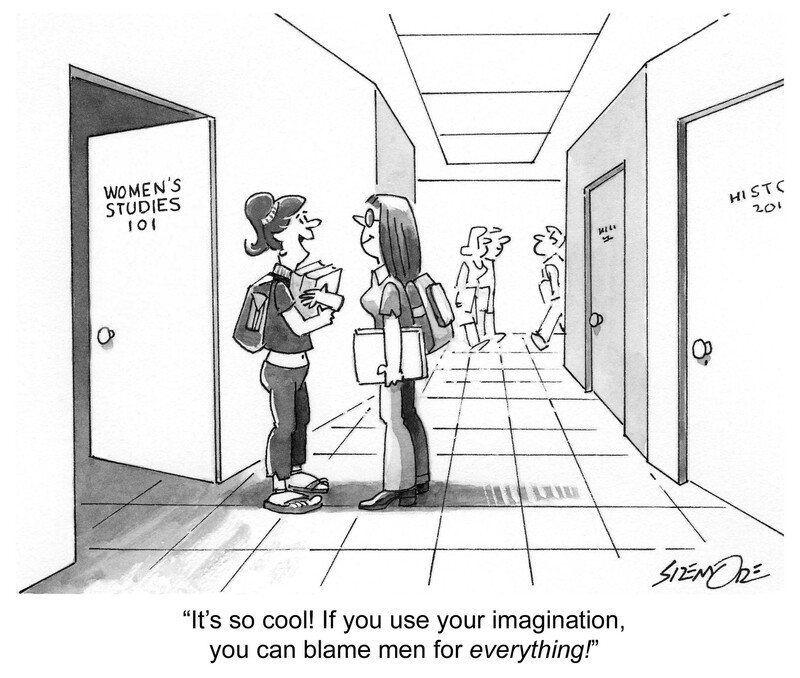 It’s ironic that feminists – ideologically committed to the idea of the ‘patriarchy’ conspiracy theory, the supposed systematic oppression of women by men – owe much of their ‘success’ to exploiting male deference towards women. Even more ironically, the very men that we would expect to vigorously fight feminism – men with right-of-centre political convictions – are often more deferential towards women than men in general. In my view, the most successful work in campaigning against feminism has been where individuals (mostly but not always men) have taken up a practical fight against the impact of feminism, and even here successes are few and far between. I’m thinking of the fights for allowing paternal access to children post-divorce, and for recognition of men who have suffered from domestic violence, which have been attracting increasing publicity. It’s well documented that, contrary to feminists’ claims, female-on-male domestic violence is as common as male-on-female domestic violence, although in the UK there are over 400 women’s refuges and only two men’s refuges. It is with these considerations in mind that I recently launched The Campaign for Merit in Business, with the financial backing of a small number of supporters. Next week I shall be writing to the Chief Executives of the 100 most highly capitalised companies in the UK, the FTSE100, and also sending a press release to leading newspapers and magazines.The objective of The Campaign for Merit in Business is to articulate the case for merit remaining the sole basis for boardroom appointments, and the case against the points commonly advanced in favour of ‘improved’ gender diversity in the boardroom. The campaign is focused on the United Kingdom – the government continues to threaten the introduction of quotas if companies don’t ‘voluntarily’ increase the number of women on their boards – but another campaign needs to be fought against boardroom quotas being imposed by the EU, an initiative led by Viviane Reding, EU Justice Commissioner. Her various statements on the issue of gender diversity in the boardroom are variously conspiracy theories, fantasies, lies, delusions and myths. Otherwise they’re fine. Öffentlich-rechtliche Hysterie oder schlichte Katastrophen-Geilheit? As with all things feminist they do not want to engage in rational, objective or just debate that exposes their agenda in the western world. They will not listen or hear the arguments from their opponents instead they use shaming tactics, ridicule and guilt inducing measures to silence or stifle robust debate from their challengers which amounts to a totalitarian ideology. 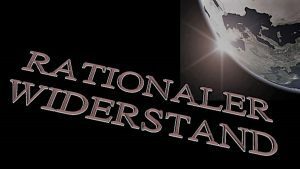 We have to ask the question, as Mr Buchanan does,are we prepared to saunter into an unchallenged world where feminists hold sway with there warped agenda that seriously and negatevely affects Men, Boys, Girls and Women.